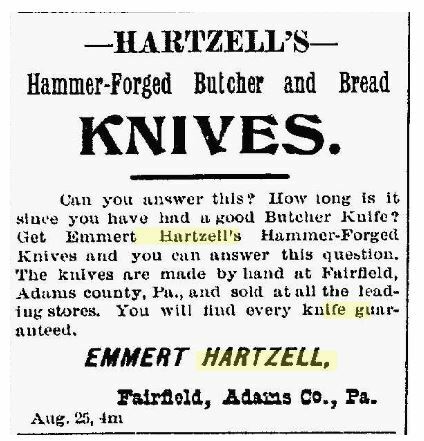 HISTORY - The Fairfield Knife Co.
A Hartzell advertisement from the September 29, 1896, "Gettysburg Compiler" newspaper. It is hard to believe that Main Street, Fairfield, once had a flourishing iron industry; however, on the site of a former blacksmith shop, Emmert Hartzel erected his knife factory in 1891. It was possibly at this same smithy that Hartzell had served an apprenticeship and became interested in making knives. At any rate, neither the blacksmith shop nor the knife factory exist today, having been replaced by the old Fairfield Garage building at 110 East Main Street. 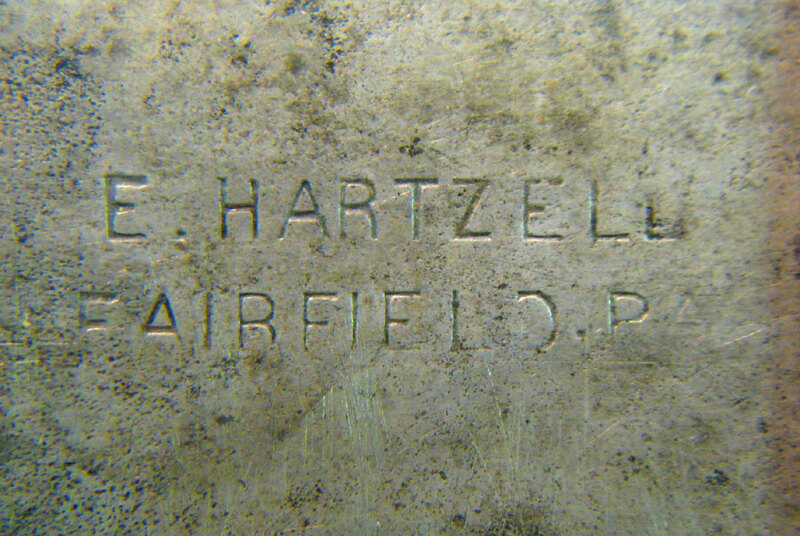 ​As fate would have it, Hartzell outgrew his Fairfield location and in 1901 built a new factory in Gettysburg along the railroad opposite the Philadelphia & Reading Railroad station. Several years later, Hartzell sold the business to Roy Dougherty, an employee, who in turn moved the cutlery enterprise to Reading, PA and formed the Columbia Cutlery Co.